Who tops the PR sector in the digital age? At a seminar titled “The impact of the digital age on public relations” hosted by our marketing and digital teams, the key question of “In this digital era, what direction should public relations develop?” was debated with some compelling insight. Here are key learnings from the expert spokespeople at the seminar as well as my views on this topic. The internet has already penetrated every aspect of our daily lives. As traditional media gradually declines in popularity, its ability to lead and influence public opinion has “devolved”. With the general audience gaining accessibility to their own public voice, the public relations industry has entered an era of individual empowerment. Under the influence of this development trend, there is debate within the industry on whether “traditional PR is dead”. Regardless of who wins this debate on obsolescence, it is indisputable that this digital era is already showing signs of considerable impact. Some PR experts have also proposed a more pro-active point of view: Given the backdrop of increased digitalisation, is PR currently experiencing a “revolution” or an “evolution”? Be it revolution or evolution, industry players unanimously agree that the benefits are far more important than the results. The rapid development of the internet and technology has engendered a number of new media platforms. From the emergence to the booming development of these new media and social platforms, we have also seen PR communication transform from traditional modes of operation to ones that are more reciprocal and interactive. Regardless of the sector’s changes and developments, “content” remains the core element of public relations. As we say, “Content is king”. Although content is indeed key, as the weight of public opinion and influence gradually shifts toward a larger audience, modes of public relations are transforming from the traditional “I speak, you listen” towards “You speak, I listen”. It is therefore imperative that the content of communications also keeps up with the pace of change and that a dynamic relationship with its audience is established. Whether public relations is facing “obsolescence”, “revolution” or “evolution”, job seekers must face the opportunities and challenges brought about by industry transformation. To pro-actively respond to these challenges, job seekers need to achieve a balance between what’s “constant” and what’s “changing” in this sector. What remains unchanged is content – it is still the core of communications. In the face of complex and sometimes conflicting trends, content should remain your base and focus. What is changing is the channels of communications, what it takes to capture audiences and for how long can you hold that attention. PR professionals have a host of tools to utilise in their story telling these days, a formal news release may not be the best avenue when there are options around producing dynamic content such as motion graphics and videos. Therefore, open-minded thinking has become a basic requirement for all job seekers across all industries (especially in the field of public relations). Public relations professionals are encouraged to embrace this mindset, forgo their conservatisms, and identify the most suitable content. In our present circumstances, the key challenge for the public relations industry is how to build relationships and connections between enterprises, audiences and society as a whole. For those who seek employment in the PR sector, it is important to place emphasis on their experience with content. When preparing their CV or for an interview, it is necessary for PR professionals to highlight the content aspects of their careers and any outstanding learning abilities. 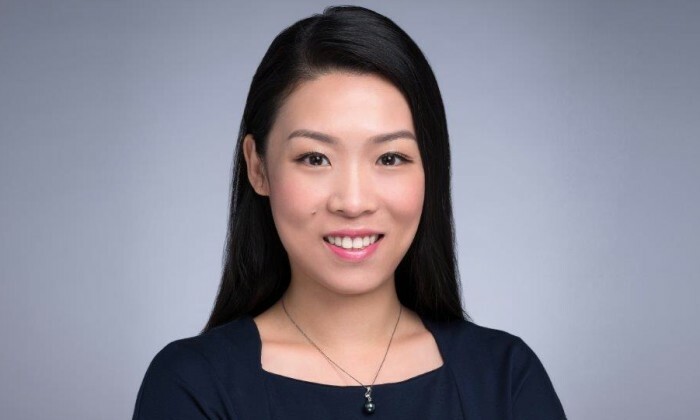 The writer is Jacqueline Qin, associate director of Michael Page marketing & digital. Apple Daily's website has long been one of the most widely-visited news outlets but it's considering to roll out a subscription mo..
Loob Holding also told A+M that it has instructed its lawyers to file for leave to appeal to the Federal Court against the Court o.. The video takes a drastic turn in a later half with thunderbolts and volcano eruptions. ..